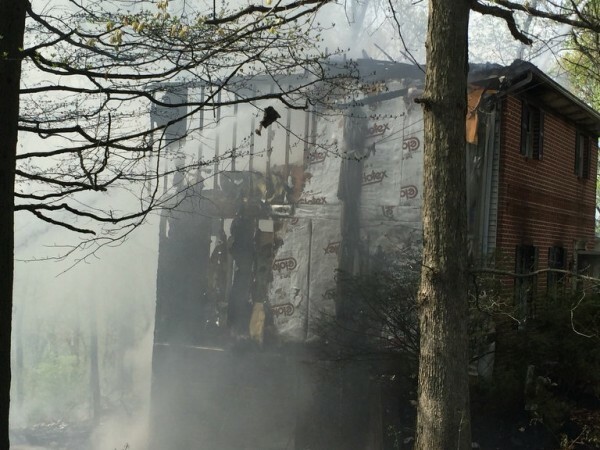 An explosion of unknown origin ignited a house fire in Salisbury Township this April. The damage was severe enough to completely destroy the roof along with most of the floor joists and structural walls. Because of the size of the fire, most of the contents inside were lost. Our field staff worked with the family, looking through the ashes to find family heirlooms. While our office staff tirelessly worked in creating a complete inventory list of what was lost so it could be replaced. 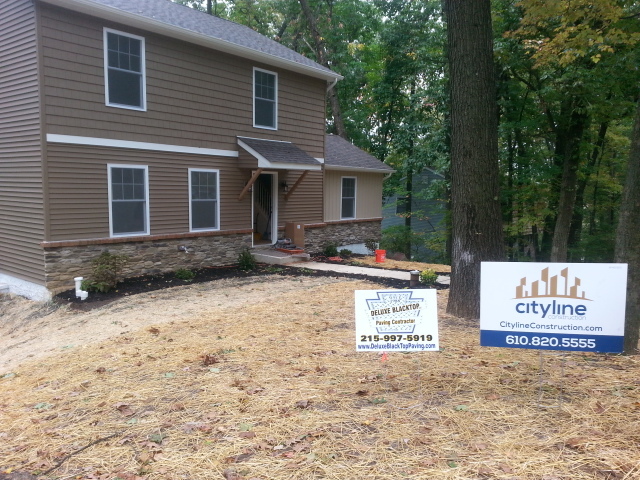 The family felt this was the perfect opportunity to customize their new home to meet their needs. One of the customization’s was to have an artistic back-splash in the kitchen. It exceeded the homeowners expectations. The exterior was created by our own Tom Williams, Sr.
After architectural designing and zoning, the house only took 5 months to rebuild and refurnish before it was ready for the family to move back in this October. “We don’t think there are enough superlatives to describe the relationship we had with this company and the work they did. The staff conducted themselves with us on a very personal basis and in regards to the construction they completed the house in the time they promised. We were dreading the entire process but they made it extremely easy for us. Their attention to detail was greatly appreciated.